The She-Wolf, the Eagle and the Octopus, is a creation by the Italian artist Paolo Canevari in collaboration with Elisabetta Cipriani made in a limited edition of 5. It is part of the sophisticated set of zoomorphic silver serving cutlery inspired by three animals which across human history have been associated with symbols of power: the She-Wolf, the Eagle and the Octopus, eyes made of diamonds, rubies and pearls, respectively. Through employing these archetypal images yet using them in a new context, the artist puts their meaning in jeopardy and invites us to reflect on how and why society constructs its own iconography. The She-Wolfrepresents Earth, one of the four Classical Elements. 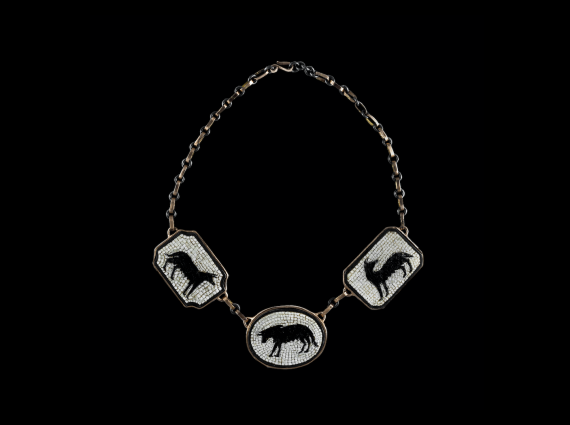 Venerated in Ancient Rome, the animal’s most notable role was nurturing and sheltering the abandoned twins Romulus and Remus – just as our land’s food-bearing soil protects us from withering away. Romulus would grow up to become the founder and first King of Rome, and his saviour, the She-Wolf, is until today the official symbol of the City of Rome. 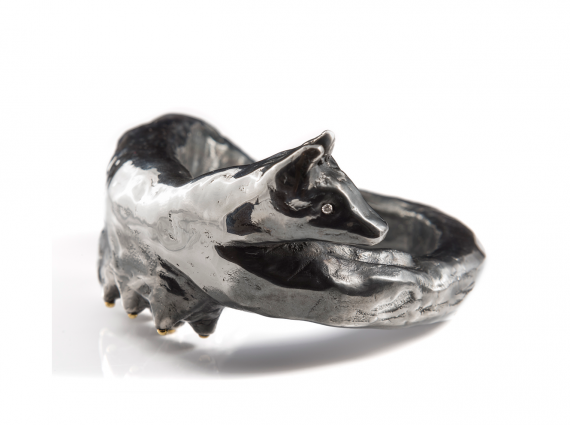 Engaging with the Wolf’s traditional representation of instinct, intelligence and value of interpersonal connections, She-Wolf Knife is a reflection on what these metaphysical qualities mean to us. The Eaglerepresents Air, one of the four Classical Elements. Often called “King of the Skies”, the large, powerfully built bird of prey has traditionally symbolised freedom, courage and supremacy. It is an exceptionally common symbol in heraldry and coins, in particular in Germanic countries, which has strengthened the bird’s iconographical connection to aristocracy. Until the medieval era, in the western culture it was firmly believed that the eagle is the only creature that can look directly into the sun without blinking. Engaging with the bird’s symbolism of unattainable strength and abilities, the Eagle Fork is a reflection on the accessibility of power. The Octopusrepresents Water, one of the four Classical Elements. An inhabitant of the unknown, to us humans, world of the Ocean – the animal has been a symbol of the power of the uncanny across cultures. In Japan the creature’s flowing movements stand for eroticism and manipulative seduction. The same dangerous appeal was referenced in Ancient Greek mythology, with the terrifying head of the infamous gorgon Medusa being inspired by the appearance of the eight-armed animal. In Italy, this multitude of arms, all connecting to the creature’s big, acutely intelligent head, made the Octopus (Piovra) a symbol of the united power of the Mafia. 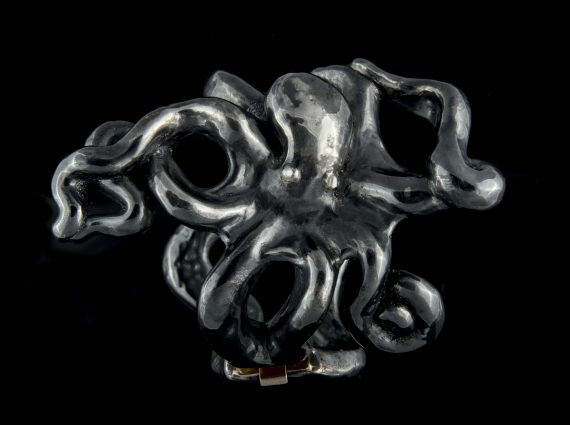 The Octopus Spoon is thus a reflection on the complex interconnectedness of seduction, danger and power.